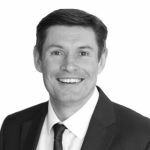 David Barnett, Area General Manager Northern Europe at GSK Consumer Healthcare, has been appointed as the new President of PAGB, the UK trade association for manufacturers of over-the-counter (OTC) medicines, self care medical devices and food supplements. Sanofi’s Chris Mummery has been appointed Vice President. David takes over as President from Johnson & Johnson Ltd’s Pat Smallcombe, who has been promoted to a new role as President One J&J, South East Asia. David was previously PAGB President from 2013 to 2014, when he represented Novartis Consumer Health. He re-joined the Board as a Vice President in September 2016 on returning to the UK in his current role at GSK. Chris Mummery, Head of Northern & Southern Europe and General Manager, Consumer Healthcare, UK & Ireland at Sanofi, has been appointed Vice President, alongside RB’s Steve Troote who continues as Vice President. “I am delighted to have been appointed President of PAGB at such an important time for the consumer healthcare industry. With continued pressure on the NHS, the need to empower people to self care has never been greater; and with EU Exit negotiations underway it is vital PAGB member companies come together to ensure our views are well represented. “I’m passionate about the role that self care can have in enriching people’s lives. I’m very much looking forward to working with and supporting PAGB in what is an important and fast-changing time for our sector”. “Through PAGB, I have worked with David Barnett and Chris Mummery over a number of years and am delighted they have been appointed President and Vice President respectively. Their drive and experience will be valuable in helping PAGB deliver against our objectives in the run up to our centenary year in 2019. David joined GSK in 2015 as part of the GSK and Novartis Consumer Healthcare joint venture and was Area Manager for GSK Consumer Healthcare in Latin America until his appointment to General Manager, Northern Europe in August 2016. 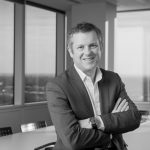 Chris Mummery is currently the Head of Sanofi’s Consumer Healthcare division in Northern & Southern Europe and General Manager of the company’s UK & Ireland Consumer Healthcare operations. He joined Sanofi in January 2017. A background in consumer healthcare and FMCG businesses throughout his career, he has previously held positions with Boehringer Ingelheim as Corporate Vice-President for Europe and as their UK & Ireland Country Head, joining BI in 2014. In his earlier career he held senior roles with Reckitt Benckiser, as Regional Commercial Director in East Asia, and Global Customer Development Director for the Tesco global account, and with Gillette. With Gillette Chris held a series of UK and Emerging Markets director roles in Sales planning, Customer Development and the Country Head in Hungary.